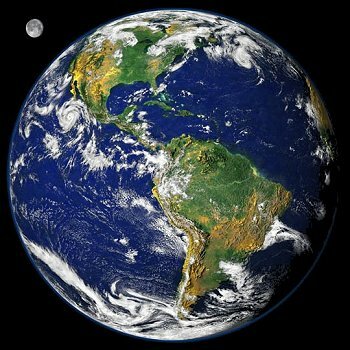 This site is dedicated to proving that God created the Earth. Have you ever wondered why Italy is shaped like a boot? Why Africa has a horn? Is Michigan really shaped like a mitten, or something more important? These are just a few of the many mysteries we'll try to uncover as we search our heavenly Father's creation and His written word. If you believe God made the heavens, and put symbols in the stars, then it's a simple thing to believe He would do the same on the Earth. I hope you'll enjoy them. Scroll down for a list of countries and regions. Feb 2012 - Added study on the Moon. March - Small update to United Kingdom & Ireland. Note: I'm not trying to dis' anyone's nation or nationality. One might live in an area shaped like a snake, or maybe something cuter. That doesn't make them good or evil, and may have nothing to do with the people living there. Remember, these are symbols. Thanks for stopping by, eh. Merci beaucoup.